More than half of the 821 million people starving in the world today are children. By supporting this year’s Lent Campaign, you give children who suffer from food shortages a better start in life. The focus of the Lent Campaign 2019 is hunger among children and what we can do to prevent children from living their entire childhood in hunger. 151 million children suffer from stunted growth as a result of having received too little nutritious food in their childhood. When adding the fifty million who are emaciated because of lack of food, the number of children suffering from hunger exceeds 200 million. Too little food in the first years of life, in one of the most vulnerable stages of children’s lives, can lead to illness and death. But the serious consequences of hunger can also extend far into the future. “The lack of food can cause impaired physical and cognitive development compared with children who have had enough food. This can lead to for example learning disabilities and result in poorer school performance, which on the long term means that the children will receive lower wages”, says Marit Sørheim, Head of International Programmes at Caritas Norway. 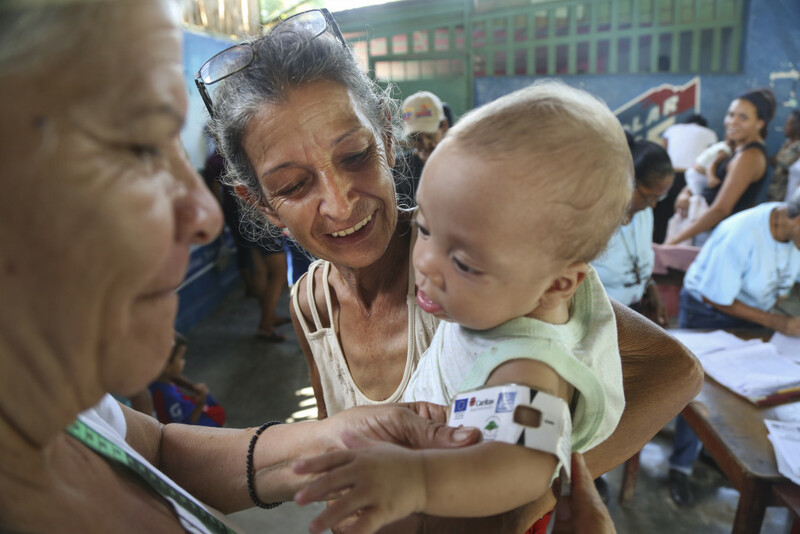 She further emphasizes that preventing growth stunting and emaciation among children and young people is crucial for Caritas for example in countries such as Venezuela, Uganda and DR Congo. “Therefore, we are very concerned with ensuring that all families are able to put food on the table, including long after the projects have been completed. That children get enough food to develop normally is central to achieving development in some of the world’s poorest countries,” she says. The consequence of the youngest not getting the food they need is felt in the economy, among other places: The future growth of the economy will be lower in many countries because of child hunger. Therefore, we urgently need to win the fight against child hunger. And to achieve that goal we need your support. Caritas supports children in Africa, Asia and Latin America by enabling families to grow their own food even when the climate changes. In this way, we provide solutions that are more useful than if we had just distributed food without sharing knowledge about how to grow the food needed. Eight out of ten families, who have received help through Caritas’ food security projects, eat three meals a day. By donating to the Lent Campaign, you can help create a better life for families who happen to be born into circumstances where food on the table is not a given. To support the campaign, send SMS «nullsult» to 2160, send your contribution by Vipps (and leave «nullsult» in the comment section) to 12135 or transfer a deposit marked «nullsult» to account 8200.01.93433. You may also use the form below.